Generally good news. Audience levels flat. Number of productions up. Access up. Street arts massively up. A big slap down for those theatres which are “playing it safe, in spite of a period of relative prosperity”. Learn from the success of others, apparently. You have been warned. See page 12. “Digital opportunity” is a big deal for the Arts Council. So much so that it is a “development priority”. Wow. Apparantly “few theatre organizations are yet making full and effective use of technological developments”. Presumably this doesn’t apply to NT Live and Pilot Theatre who clearly are total rock stars when it comes to this sort of thing. 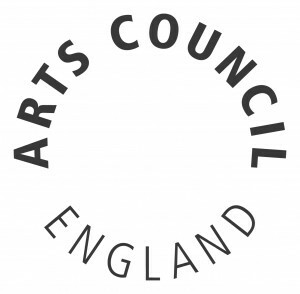 Good news for new writing: “the range of regularly funded organisations producing and presenting new work increased; changes in artistic leadership at London venues have meant that new writing was no longer necessarily confinded to new writing houses”. See page 74. And some bad news for writers: “Emerged” and “mid career” writers are suffering from more collaborative processes and they are more dependent than ever on the influence of directors and dramaturges (and I thought those didn’t exist any more). Some carping about how “the focus on the new has jeopardised the careers of those who are no longer new”. See page 76. The number of volunteers at the regularly funded theatre organisations has almost doubled since 2001/2. See page 65. Surprisingly, there are apparently only two kinds of audiences in London: “the traditional theatre audience that is loyal to its local venue, and a younger Black and minority ethnic audience that will travel across the city.” See page 77.